Posted by M Bharath Bhushan in Culture, Economy, Hyderabad, Identity, Mulki, Police, politics, Sonia, Telangana, universities. Everyone found a way to make their way to Tank Bund. 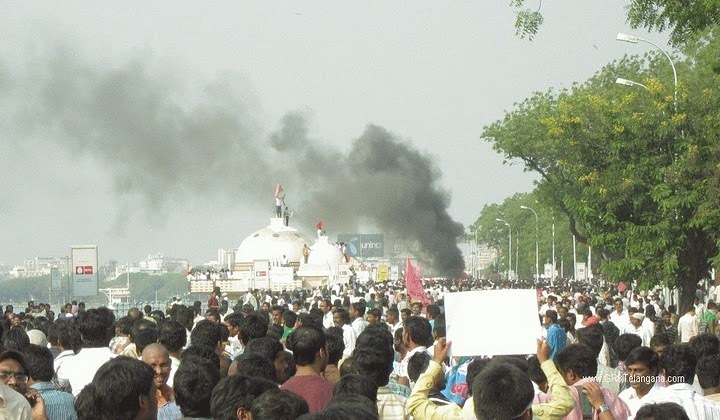 Every supporting organisation, institution, mass organisation, political party who have supported Telangana made their way to Tank Bund. A very civil demonstration of people’s determination had rendered impotent a state-enforced region-wide curfew including public transportation systems. But then people began to vandalise the statues and a lot of people tried to stop them but in vain. 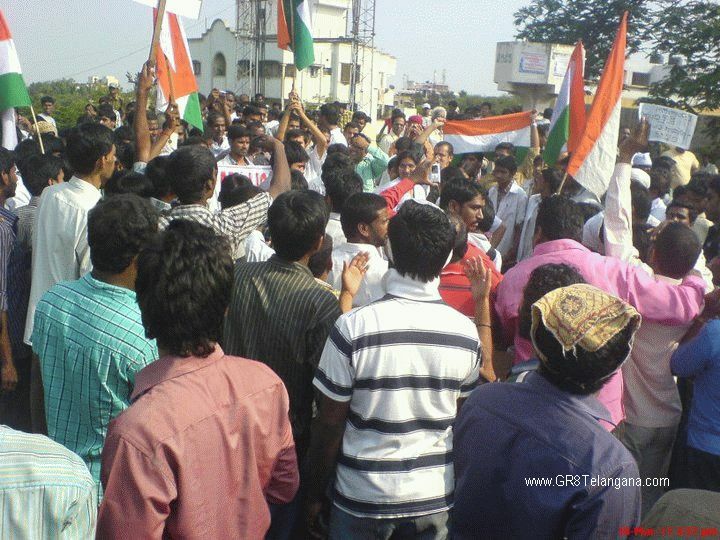 The vandalism has overshadowed this victory as the media’s focus is now only on “Telangana vaadula vidhwamsa kaandam”. But we have shown them that we can do it on an even bigger scale the next time around, and there surely will be a next time, because “ladhai abhi jaari hai”. Posted by Telangana Utsav in Andhra, Appeals, CharMinar, Congress, Culture, Hyderabad, Identity, MIM, Mulki, Muslim, Nizam, Osmania, Police, politics, Rayalaseema, Settler, students, TDP, Telangana, Telugu, TRS, universities, Urdu, violence, YSR. Subject: There is no meaning for silence when there is a need to speak for Justice. 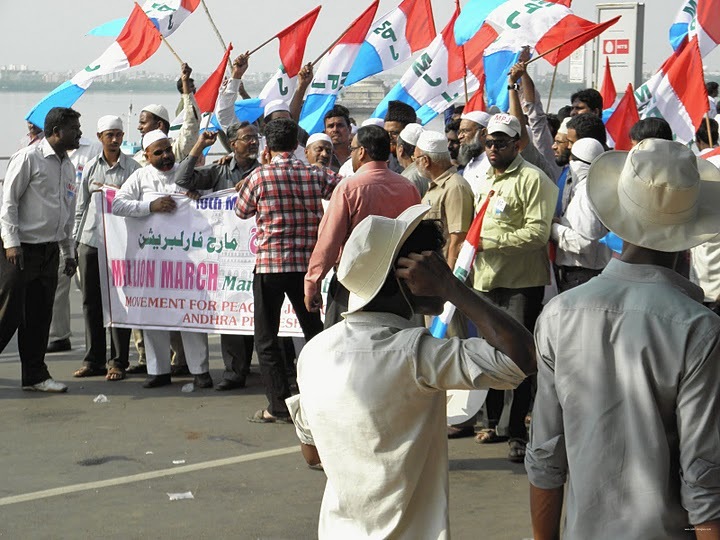 Muslim Forum for Telangana demands separate Telangana State. Posted by Telangana Utsav in agitation, Congress, drama, JAC, Parliament, Police, politics, Settler, SRC, Telangana People. “Chidambaram’s statement is not up to our expectations. There is no clarity in the statement and he has not responded to our demand for announcement of time-bound programme,” JAC convenor M Kodandaram said.